Workplace bullying is a persistent and growing problem, affecting millions of workers. Bullying is not just a playground phenomenon; it also takes place in the workplace. For example, American studies show that around 40 per cent of employees have experienced bullying in the workplace. Bullying is a threat both to employees' health and safety, and to the business in which it takes place. 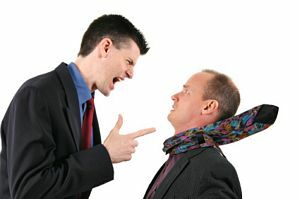 Workplace bullying is persistent bullying of persons or groups by other persons or groups, most often by those in a position of power over those being bullied. It may include verbal abuse, threatening behaviour and sabotage of work. Those being bullied may also be forced to undergo hazing as part of an initiation into the team. This can mean doing humiliating or degrading things in order to be accepted. Bullying has profound effects both on the individual and the workplace itself. People being bullied may experience feelings of vulnerability and helplessness, shock, anger, lack of confidence, loss of appetite, insomnia, panic attacks, stress, low morale, inability to concentrate, headaches, stomach pains and depression. They may also be less productive, which has knock-on effects on the business. Within a workplace where persistent bullying occurs, employers may see more grievances, disciplinary actions, transfer requests and resignations as well as an increase in sickness-related absence. Employers will also have to spend more on recruitment and may find that employees' low morale has an effect on customer relations and the public profile of the business. Although workplace bullying is increasingly recognised as a problem, there is very little direct legislation to address it (there are exceptions), which means that many employers are able to ignore it. The advice given to those being bullied is to avoid retaliation and to ask bullies to stop their behaviour. It's also useful to keep a record of bullying incidents through a journal and by saving letters and emails. While many workplace bullies engage in this behaviour because of low self-esteem or because they have been bullied themselves, it is not acceptable. Despite the lack of legislation, employers can address this by creating an anti-bullying policy in their staff handbooks.